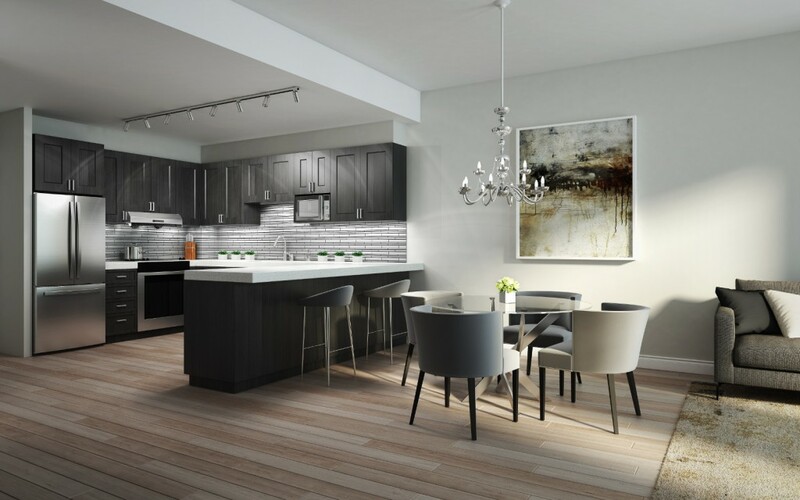 H&W Developments is celebrating the new release of its Fontana Square Collection, featuring two bedroom plus den suites and two-storey condo townhomes. The Fontana master-planned community is made up of four condominium towers, linked by a two-acre central park courtyard with meandering pathways and seating areas. 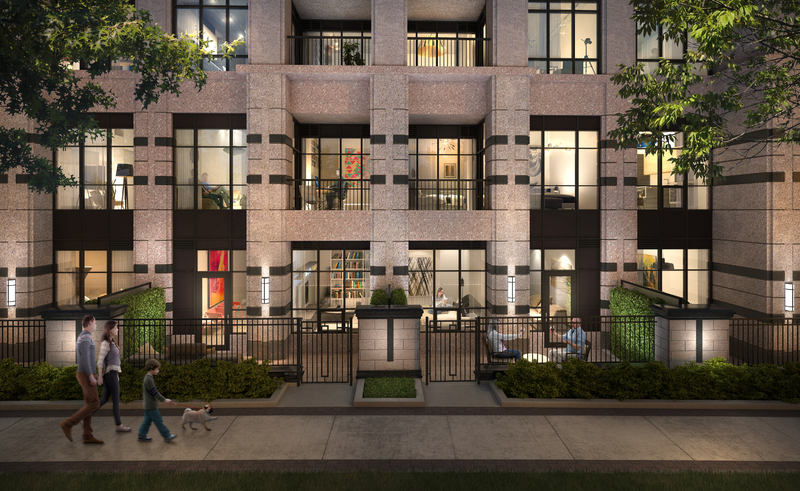 Priced from the mid $400,000s, the two bedroom plus den suites feature nine foot ceilings, walk-in closets, L shaped kitchens, granite countertops, plank laminate flooring and scenic balconies. The two-storey condo townhomes are characterized by private street entrances with fenced-in patio areas. These spacious floorplans range from 1,387 to 1,578 square feet, bearing ten foot ceilings on the ground floor and private balconies off the master bedroom suites. The amenities at Fontana are akin to those of a five star hotel. Enjoy over 7,000 square feet of recreational space, including an indoor pool, jacuzzi, sport court and a state-of-the-art fitness centre. There’s also a 50 person party room with a chef-grade kitchen and an outdoor terrace with barbecues and al fresco dining areas. 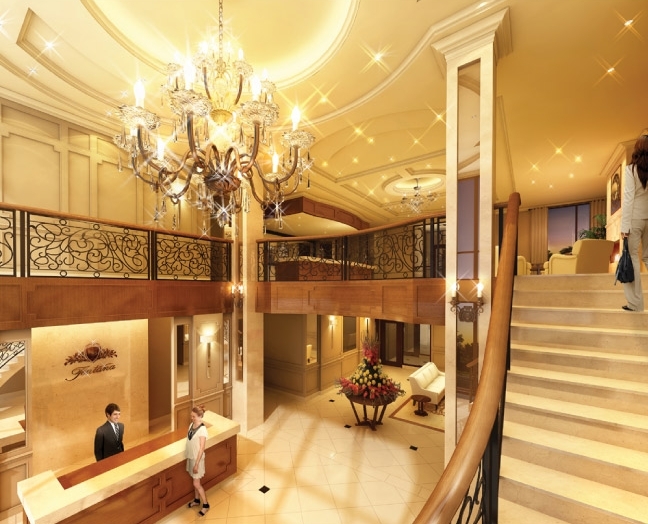 For your peace of mind, the double height entrance lobby is supervised by a 24 hour concierge and security. Conveniently located at the corner of Warden Avenue and Highway 7, Fontana is flanked by restaurants, big-box retailers, schools and grocery stores such as Whole Foods and No Frills. The Markville Shopping Centre is just a short walk away, anchored by stores such as Forever 21, Apple, Hudson’s Bay, Zara, Sephora, H&M and Winners. VIVA transit is across the street from the community and includes a stop at the Unionville GO Station. Access to highway 7, 404 and 407 is also nearby. The Fontana Square Collection will be move-in ready as of summer 2016. For a limited time, prospective buyers can take advantage of a special offer from California Closets to create a customized, fully-featured DreamCloset. Visit the designer model suite and sales office at 10 Cedarland Drive, open Monday to Thursday from noon to 7 pm and on weekends from noon to 6pm. For more information, please call 905 604 7886 or email info@hwdevelopment.ca.